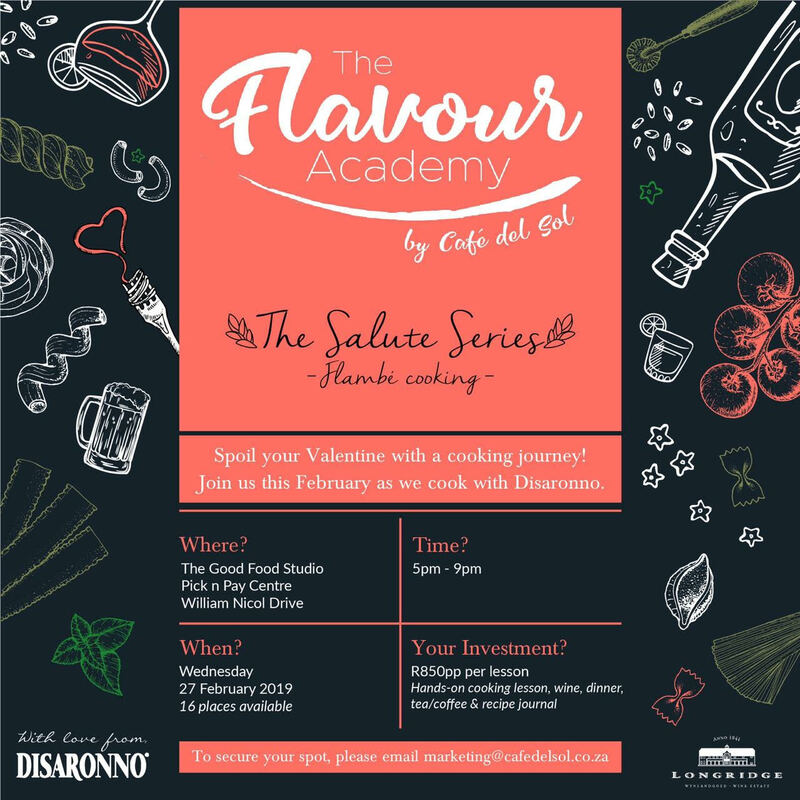 The Flavour Academy Presents The Salute Series. Bring your valentine for a romantic cooking class at The Good Food and Wine Studio, Pick and Pay Centre at the corner of William Nicol Drive and Republic Road. Cooking starts at 17:00 and finishes at 21:00. There are only 16 seats available, make sure you book yours! For only R850 per person, you are entitled to a hands-on cooking lesson, wine, dinner, tea/coffee and a recipe journal.